There is no story. Imagine to yourself that I told a story and it was witty. You cried from how well the parts of the story were woven together. You wished it never ended but it did and then wolgame began. There are 14 players including 3-4 wolves and 2-3 specials. Roles will be sent shortly. Rules are mostly standard with one major change: Everyone must post at least once in every night/day cycle. At the end of the day, any player that has not posted since the last hanging is god-killed and their role is revealed. This also applies on the first day. Anyone that has not posted by the end of Day 1 is god killed. Anyone needing an exception to this must request it in advance in the thread. Night and Day switches at 19.00 pm ET (Pokerstars Time). No vote past 18:59 will be counted even if god is late. Votes must be in red and follow the syntax "vote player", e.g. vote God in order to count. There is an unvote option. Once you have voted, you can remove your vote by voting for "nobody". However, "nobody" can't win the vote. 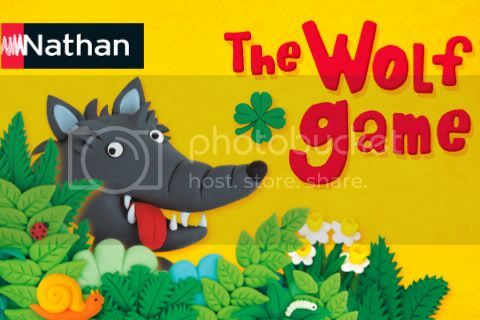 No talk about the game outside the game thread unless you are a wolf and talk to another wolf. No strategic posts from dead people. "*dead* gl village" and the like are fine. No post editing at all. Typos stand. Learn to read before pressing submit - this applies to your posts outside of wolfgame as well. One eat per night, needs to be submitted before day switch. If no pick has been sent by day switch, the wolves are stupid but do not lose the game. If the wolves attempt to eat a protected player, the players role is not revealed. One save per night, needs to be submitted before day switch. The angel can only protect the same player, including themselves, twice in the game. total saves are limited to something between 2 and 4. One pick per night, needs to be submitted before day switch. Total picks are limited to something between 2 and 5. One kill per night, needs to be submitted before day switch. Total killes are limited to something between 2 and 5. The vigilante kill happens prior to them being eaten. Questions in the thread are fine - these do not need to be submitted via PM. Color coding lists is fine, but your votes must be clearly indicated. Do not post private messages / chat convos. Public posts from older games is fine, but PMs or conversations among the wolf team from older games is not. Any effort to use private information not available to all is cheating. No betting on game activity between players. Repping is fine. I don't care if you rep each other. There is no tie: If it is 1 wolf vs 1 villager/angel/seer wolves win. Note: The villager PM will say: You are a villager. It will not involve color, it will also include a note about the rule change that will be the same in all role PM's. ROLES HAVE NOT BEEN SENT OUT YET. I will get to that in about an hour. First hang will be Monday evening, 7pm. The clock for posting by day 1 starts now. Roles have been sent out. Let me know if you did not receive a PM. Get posting. Your life depends on it. Day 1 will start 7pm (Stars Time) Monday. 4) Since Killcrazy is absent, everyone shall henceforth refer to me as 'SW' and immediately hang Axis of Evil when I tell you all to later. Also, cupcakes are tasty. Now that I have given these decrees, we should erect a statue of Boilermaker in the town square. Chat Monitor (Support): SwoopAE has lost their chat privilege for 5 minutes. Spamming the table is prohibited. All times are GMT. The time now is 8:59am. vBulletin 3.7.4 Copyright ©2000 - 2019, Jelsoft Enterprises Ltd.